Tony ‘Birder’ Maguire was a goalkicking machine with Wynyard and Smithton who was a strong mark and rarely missed when shooting for goal. He helped Wynyard to premierships during the 1970s and then spearheaded Smithton’s move into the NWFU in 1981. After the 1982 NWFU grand final loss to Cooee, the Saints bounced back under Stephen Parsons in 1983. 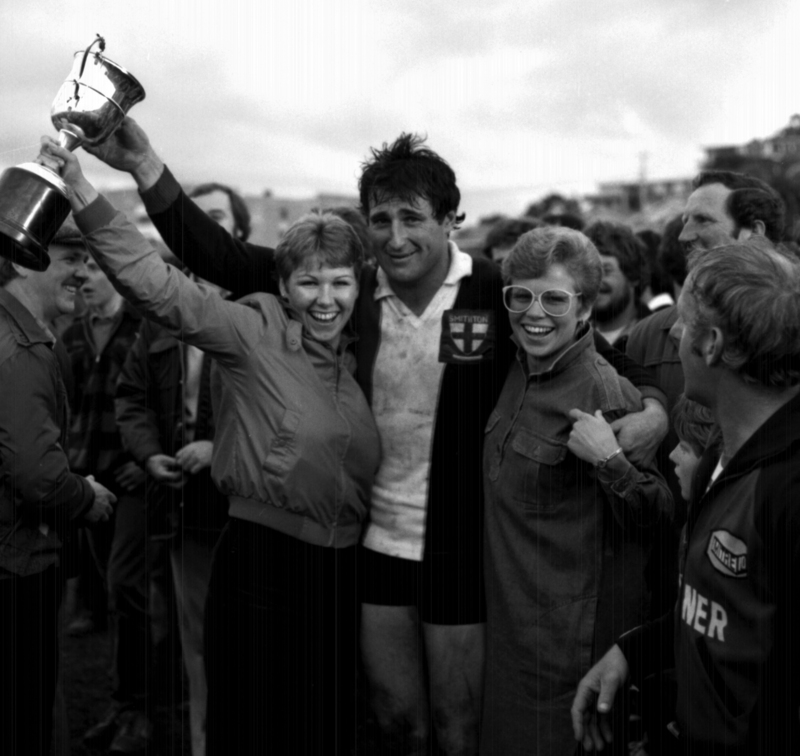 With Tony Maguire almost unstoppable at full forward, Smithton achieved a famous grand final victory over Cooee by one point in 1983. Maguire kicked ten goals and was named best on ground. After concluding his playing and coaching career Tony Maguire gave great service on the Committee of Smithton, the highlight being his period as President of Smithton during which the club won their only NTFL premiership in 1991. He has served his club for two decades in various committee roles.